A pharmacist can be an important resource to consult on drug interactions, prices and how to take medicine. 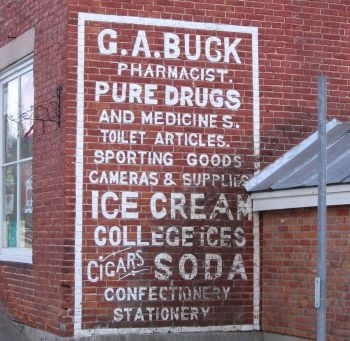 The pharmacies in which they work come in all sizes in Vermont – from small independents to large chain stores. Currently, about one-third of the state’s pharmacies are independently owned and operated. But do they still have a place in Vermont communities? Rich Harvie, co-owner of the Montpelier Pharmacy, and Bob Hamilton, of the Albany College of Pharmacy, look at the business landscape that Vermont pharmacies face today. Plus, Candace Page of the Burlington Free Press went on a field trip looking at the eradication of an invasive species – Asian clams – in Lake George. She reports on what is being learned there and how that could be applied to lakes in Vermont. And, this week, the national Edward R-Murrow Awards were announced to recognize the best in broadcast journalism across the country. And VPR is proud to have been awarded three national Murrow Awards. Two of the awards commended our reporting and documentary work on Vermont National Guard soldiers deployed in Afghanistan. And one of the awards was for best writing, in a story that first aired on Vermont Edition. Last April, VPR’s Steve Zind sought to elevate one of the drearier signs of spring: the cluster fly.